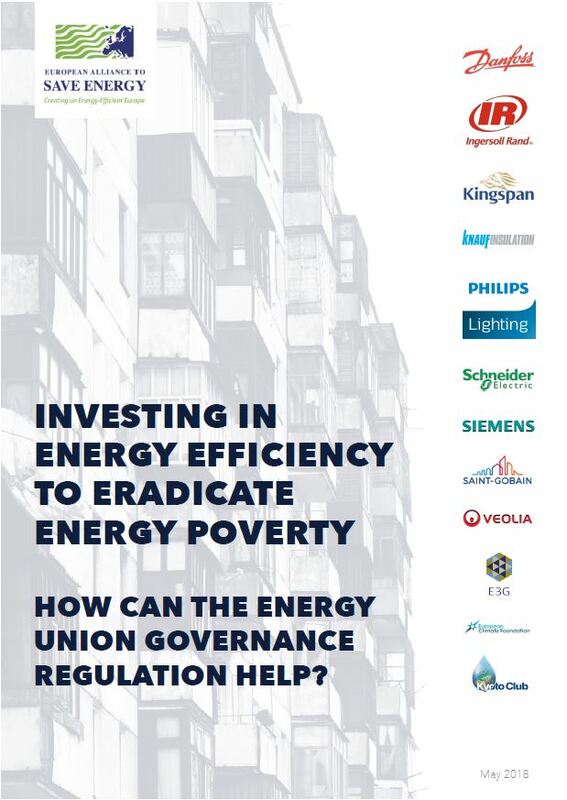 Investing in Energy Efficiency to eradicate Energy Poverty – How can the Energy Union Governance Regulation help? “Energy Efficiency First” is a principle that has gained growing visibility in European energy and climate policies and is of central importance in removing energy inefficiency as a major and persistent cause of energy poverty. Energy Efficiency First should be a pillar of the Energy Union. It means considering the potential for energy efficiency solutions in all decisions related to energy planning and investment. Concretely, it is about systematically comparing the cost-effectiveness and the added value of energy efficiency measures and energy supply solutions (considering also the externalities such as jobs and economic growth, energy security and climate change mitigation objectives). It boils down to making an informed choice to optimally invest taxpayers’ money and prioritize energy efficiency investments whenever they deliver more benefits. Therefore, energy efficiency should be recognized as an energy resource and compete on equal footing with other supply side resources. The Efficiency First concept has been championed by the Commissioners in charge of the Energy Union and further operationalized in proposed amendments to the legislative framework, including the Governance of the Energy Union Regulation, the Energy Performance of Buildings Directive, the Energy Efficiency Directive and the Market Design files. One of the main goals of this legislative framework is to improve the energy performance of the EU building stock todeliverenergy andcost savings for all,contributingtoenhanced competitiveness for businesses and a fair deal for citizens.